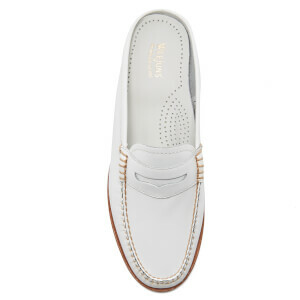 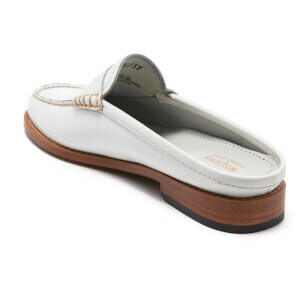 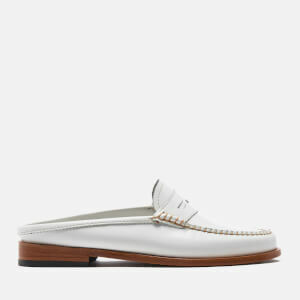 Women’s white leather penny slide loafers from heritage American shoemakers Bass Weejuns. 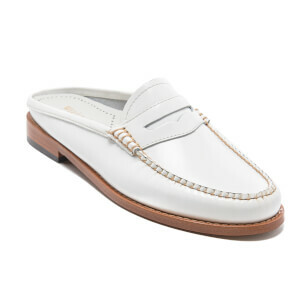 Hand-sewn and crafted from smooth white leather, the classic slip-on loafers feature a bridge panel with a cut-out section and a stitched moc toe silhouette. 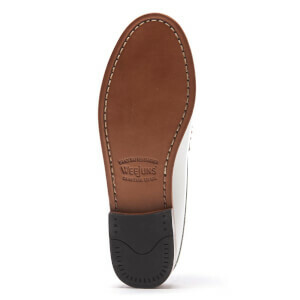 The women’s shoes are set on a slim black leather sole with a small rubber grip heel and finished with a cushioned insole for comfort.